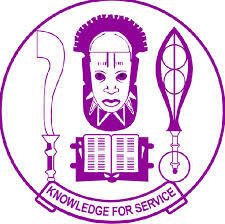 Using this educational portal as a means of communication to all Nigerians, the Dailyschoolnews Nigeria team wishes to inform and notify members of the general public, especially all candidates who sat for the University of Benin, uniben JUPEB Screening examination, that the result has been released and published on the school Kofa portal. This information is for all UNIBEN candidates who sat for the JUPEB exams. We’re glad to inform and notify all candidates who participated in the 2017/2018 JUPEB Screening exercise of University of Benin that the result of the screening exercise has been released and published online by the school management. When the above page opens, proceed and enter your Username and Password in the spaces provided. Then proceed and click on “Login” to access your result. Wishing all candidates the very BEST and don’t forget to share this information with your friends, using the share buttons below.